Over-the-air digital broadcasts will have much improved picture and sound quality compared to analog broadcasts. A substantial amount of radio-frequency bandwidth will be freed up for other uses. The change will enable the delivery of over-the-air internet through TVs. With the notable exception of Mexico, none of the countries that have completed or are in the process of DTV switchovers have seriously considered the energy savings opportunities presented by the transition. Instead, most countries have helped citizens with the digital transition by providing DTV converters (DTCs) that increase overall TV energy consumption. At the same time, the energy efficiency of flat-panel TVs has improved substantially in recent years, and their prices have dropped. When these trends are viewed in conjunction with the unique opportunity that the analog-to-DTV transition presents for early retirement of analog TVs, we find tremendous energy savings opportunities. Mexico is the first country to explicitly recognize this opportunity and is designing its DTV transition to include energy-efficiency goals. As part of the DTV transition, the Mexican government exchanges old analog TVs for flat-panel TVs that receive digital signals (Gopal et al. 2014, SEAD 2015). In this paper, we quantify the global energy savings potential of energy-efficiency opportunities available in upcoming DTV transitions, for example, through TV-exchange programs such as the one being implemented in Mexico. Many countries have set timelines for ending analog terrestrial transmissions, with a vast majority expecting to complete the transition to digital broadcasts before 2020 (DVB 2015, Hai and Narayan 2012). Today, more than 300 million households still receive analog terrestrial TV signals (Murray 2014). This population represents a substantial energy savings potential. There have been some technical assessments of energy-efficiency improvement opportunities in DTCs (MVV 2007, TTA 2011, Cheung et al. 2011). However, to the authors’ knowledge, no literature assesses the energy savings potential of DTV transitions if they are designed to take advantage of the energy-efficiency improvements offered by contemporary flat-panel TVs. Because flat-panel TV and DTC technology are very similar in all countries, we are able to do a global analysis of this potential. In this paper, we estimate the energy use that would result from exchanging old analog TVs, all of which are cathode-ray tube (CRT) TVs, for light-emitting diode (LED) backlit liquid crystal (LCD) TVs (LED-LCD TVs). We compare that energy use with what would result from adding DTCs to extend the life of analog TVs after the digital switchover. Our analysis focuses on the countries where the numbers of analog TV households are still significant. The remainder of this paper is organized as follows: “The global digital transition in broadcasting and televisions ” section presents an overview of the digital broadcasting transition taking place across the globe and discusses energy consumption of DTCs and LCD TVs. “Methods, data, and scenarios ” section describes our data sources, assumptions, and the methodology used to estimate energy savings potential in analog terrestrial TV households. “Results ” section discusses our analysis results, and “Conclusions and policy implications” section presents concluding statements. Digital terrestrial television (DTT) broadcasts have been growing, accounting for about 20% of the 1 billion DTV households worldwide in 2014 (Murray 2014). Of digital-broadcast recipient households (henceforth referred to as digital households), 36% are cable TV subscribers who may own an analog TV but use a digital cable box from the service provider (Murray 2014, Cheung et al. 2011). Internet protocol and satellite (i.e., direct-to-home or DTH) make up the remaining 44% of digital households. As a result of the growing penetration of DTV broadcasts, the number of analog-broadcast recipient households (henceforth referred to as analog households), including terrestrial and cable, has been rapidly decreasing, from approximately 860 million households (∼60% of TV households) in 2010 to approximately 500 million households (∼32% of TV households) in 2014. Among those, analog terrestrial households number about 317 million in 2014 (Murray 2014). Because many countries have yet to complete a digital switchover, the energy savings opportunities in the global DTV transition could be substantial. There are four main DTT standards: ATSC (Advanced Television Systems Committee, adopted by USA, Canada, South Korea, Mexico, and some Central American countries); DVB-T (Digital Video Broadcasting–Terrestrial, adopted by Australia, Europe, Africa); ISDB-T (Integrated Services Digital Broadcasting–Terrestrial, adopted by Japan, Brazil, and several Latin American countries); DMB-T (Digital Terrestrial Multimedia Broadcast–Terrestrial, adopted by China) (ITU 2013, Pizzi and Jones 2014). More technical details of the four DTT standards are out of the scope of this paper. Prior to 2007, sales of TVs that had a built-in digital tuner capable of directly receiving digital signals were not significant. We roughly estimate that less than 100 million flat-panel TVs were shipped between 1998 and 2006; by contrast, about 90 million flat-panel TVs were shipped in the year 2007 alone (DisplaySearch 2010). The cumulative global flat-panel DTV (TVs assumed to be mostly with built-in digital tuner and decoder) shipments between 2007 and 2014 were estimated to be approximately 1.4 billion units (DisplaySearch 2010, 2011, 2013, 2014a, 2014b). Given the significant number of DTV sales since 2007 and a TV lifetime of 6 years based on recent country-specific surveys (DisplaySearch 2012a), we estimate that roughly 1.2 billion digital flat-panel TVs (i.e., all high-definition [HD] or higher-definition flat-panel TVs) were in use worldwide in 2014. When we compare (see Fig. 1) this estimate with the number of digital households in 2014 (∼1 billion) and account for digital household TV ownership rates (>1), we can reasonably conclude that very few households that currently receive analog signals have already upgraded to digital TVs. We used this approach to estimate the number because we could not find data that directly report the TV type in analog households. The DTV transition is expected to accelerate as many countries have already set deadlines for digital switchover before 2020. According to Murray (2014), DTV broadcasts overall were estimated to have reached two thirds (∼1 billion) of all TV households across 138 countries at the end of 2014. Top 10 countries (China, USA, India, Japan, Brazil, Germany, Russia, France, UK, and Italy) account for about 68% of the global digital households. The developed countries (USA, Japan, Germany, France, UK, and Italy) in the top 10 show high penetration rates of DTV households, in the range of 82 and 100%; other countries have less than 60% penetration. Although it is not surprising that China has the largest number of TV and DTV households, it is also estimated that about 240 million households in China, India, and Indonesia were still receiving analog TV signals in 2014, accounting for 48% of total analog households worldwide. In China and Indonesia, about 78 and 100% of analog TV households, respectively, are estimated to receive analog terrestrial signals. Nearly 90% of analog TV households in India are analog cable subscribers (Murray 2014). Countries in the Asia-Pacific region, including China, India, and Indonesia, represent approximately 60% of global analog terrestrial TV households Fig. 2. The United States Environmental Protection Agency (US EPA) ENERGY STAR program defines a DTC as “a device that receives terrestrial (over-the-air) digital signals and converts them to an analog output suitable for analog TVs”. The definition does not include converters for satellite or cable digital signals or devices that perform multiple functions, e.g., DVD players with DTC capability (US EPA 2012). A set-top box (STB) can be defined as “an appliance for the reception, decoding, processing and local networking of digital broadcasting and related services” (MVV 2007). As recent TVs have integrated tuners and decoders to receive digital broadcast signals, consumers who have those TVs do not need a basic DTC, which only converts digital broadcast signals into analog signals. Those households may want to have a more complex and newer STB with additional features. However, households that are so far still using analog TVs (e.g., those in developing countries) will likely need a DTC to keep using their analog TVs after the digital switchover in their countries. In the USA, the Federal Communications Commission (FCC) mandated that all US-based TV signals must be transmitted in a digital format starting in June 2009, but cable companies were not required to make the change (FCC 2009). In 2007, the US ENERGY STAR program required that the power consumption of DTCs not exceed 8 Watts [W] in “on” mode and 1 W in “sleep” mode and to incorporate an automatic power-down feature to switch from on to sleep mode after a period of time (4 h or less) without user input (US EPA 2007). According to Cheung et al. (2011), selected ENERGY STAR-qualified and non-ENERGY STAR-qualified DTCs available in 2009 consumed on average 5.4 and 7.6 W in on mode, respectively, with an overall average of 6.5 W. A research team from the Natural Resources Defense Council (NRDC) and Ecos in 2010 investigated the energy consumption of various STB types, including those with additional features. Depending on specifications, the on-mode power consumption of the products was mostly in the range of 10 to 50 W although the most efficient HD digital video recorders (HD-DVRs) consumed less than 10 W (NRDC 2011). According to NCTA (2014), US ENERGY STAR Version 3-qualified HD-DVRs and non-DVR STBs consume 21 and 15 W, respectively, and STB efficiency is expected to be further improved by 10–45% by 2017 in the USA. For the European region in 2007, a basic STB that meets the Digital Video Broadcasting–Terrestrial (DVB-T) standard and has no hard disk (i.e., a “simple” STB) was measured to consume about 4–15 W in on mode, and an STB with hard disk consumed about 14–23 W in on mode (MVV 2007). It is important to note that standby-mode power management may save significant STB electricity consumption because evidence has been reported that a majority of consumers do not switch STBs off but instead either switch to standby using remote control or leave the STB in on mode (MVV 2007). Since 2012, simple STBs sold in Europe have been required to consume no more than 5 W in on mode and 0.5 W in standby mode, with allowances for additional features such as hard disks, second tuners, and HD signal decoding (European Commission 2009). South Korea completed its analog broadcast switch-off at the end of 2012 and adopted the Advanced Television Systems Committee (ATSC) DTT standard. Testing of seven DTC products available in 2011 in Korea revealed power consumption ranging from 3.9 to 5.3 W in on mode and 0.4 to 1.2 W in standby mode (TTA 2011). In China, GB 25958-2010, the energy efficiency standards for DTCs, requires that the power consumption of DTCs without additional functionality not exceed 5, 7, and 10 W in on mode and 1, 2, and 3 W in standby mode for Grade 1, 2, and 3, respectively (top10.cn 2014a). Energy-efficient DTC products selected by Top 10 China (http://www.top10.cn/) in 2014 showed power consumption ranging from 3 to 5 W in on mode and 0.3 to 1.0 W in standby mode (top10.cn 2014b). Although DTCs that primarily convert digital signals to analog signals are estimated to consume less than 10 W in on mode, DTCs or STBs with additional features such as recording require more energy. For example, the additional power consumption of hard disk and HD output with DTCs in China is required not to exceed 2.2 and 3.0 W, respectively, for Grade 1 (top10.cn 2014a). Therefore, we conclude that the combination of an analog TV and a DTC (or STB) would consume substantially more energy than a typical 20- and 21-inch analog TV alone given that CRT TVs consume between 60 and 90 W in on mode (ECCJ 2010, Park et al. 2011). Along with the DTV transition, TV screen technology has, in less than a decade, undergone a large-scale global market transition from CRT TVs to flat-panel TVs (Park et al. 2011, 2013, and 2014). LCD TVs were estimated to account for more than 95% of new TV shipments in 2014 and LED-LCD TVs to represent nearly 100% of total LCD TV shipments (DisplaySearch 2014c, IC Insights, n.d.). The rapid improvement in cost and efficacy of LED technologies has driven the adoption of LED backlights for LCD TVs and other applications. In addition to better LED performance, viable options to improve LCD TV efficiency include optimized combinations of optical films in LCDs and improved LCD panel transmittance, brightness control functions, and energy-efficient power electronics (Park et al. 2011, 2013, 2014). In particular, major TV manufacturers have been providing new types of LED-LCD TVs at lower market prices to decrease the price gap between conventional LCD TVs and LED-LCD TVs. Manufacturers have achieved price reductions by decreasing the maximum luminance level, adjusting color reproduction capability, and redesigning the LED backlight structure (Park et al. 2014). Although market prices for similar TV models produced by the same manufacturer vary by region, energy consumption remains largely the same. For example, the regional award-winning models of Samsung and LG in the Super-efficient Equipment and Appliance Deployment (SEAD) Global Efficiency Medal competition showed similar on-mode power consumption (see Table 1). Although the global manufacturers (Samsung, LG, Sony, Panasonic, Sharp, and Toshiba) account for more than 60% of global TV sales, China, which has the single largest TV market (more than 20% of the global TV market), has been dominated by Chinese manufacturers that represent more than 70% of China’s TV sales (DisplaySearch 2011, Park et al. 2011, 2013). It is difficult to obtain TV power consumption data measured by the same test method for all countries, but the highly globalized nature of TV manufacturing means that data available from the USA, China, and developing countries are useful. Based on US ENERGY STAR-qualified LED-LCD TVs (84 models), recent 23-/24-inch (16:9 aspect ratio) LCD TVs consume 16 to 28 W regardless of backlight technology (US EPA 2015a). On-mode power consumption of the ENERGY STAR Most Efficient LED-LCD TVs (18 models, 15–24 in. on diagonal) in early 2015 ranged from 0.06 to 0.11 W per square inch [W/in2] (estimated to correspond to approximately 14 to 25 W for a 23-inch TV) (US EPA 2015b). The energy-efficient 32-inch TVs (8 models) selected by Top 10 China (http://www.top10.cn/) in 2015 consumed 28 to 52 W in on mode (equivalent to 0.06 to 0.12 W/in2 estimated to correspond to 14 to 27 W for a 23-inch TV). The Global LEAP Outstanding Off-Grid TV Awards tested a number of direct current (DC) TVs designed for off-grid use to identify the world’s highest-quality and most energy-efficient and affordable off-grid TVs. The DC TVs tested were 15–23 in. on diagonal and had on-mode power consumption ranging from 0.05 to 0.10 W/in2 (Global LEAP 2014) Table 2. Although the product groups might not be entirely comparable (specifications such as network features, luminance default mode could be different), these models represent highly efficient TVs available in the USA, China, and developing countries. We can reasonably conclude from these data that on-mode power consumption of energy-efficient LED-LCD TVs is similar across regions. Typical 20-/21-inch (4:3 aspect ratio) CRT TVs are estimated to consume 60–90 W per unit (ECCJ 2010, Park et al. 2011). Although replacing analog TVs with recent flat-panel TVs is more expensive than adding a basic STB or DTC to analog TVs, using energy-efficient flat-panel TVs will significantly reduce energy consumption and provide consumers with much better picture quality. In this analysis, we estimate the global energy savings potential of replacing CRT TVs with LED-LCD TVs instead of connecting a DTC to the CRT TV to provide continued TV access after a digital switchover. We focus our analysis on analog terrestrial households because they will go dark during digital switchover. We exclude analog cable households that will be unaffected by a switchover. The estimated annual savings potential is based on all analog terrestrial stock (317 million households) being replaced by LED-LCD TVs, and the savings would be realized after the replacement has happened. We break out our results for each of the top 10 countries (China, Indonesia, Brazil, Philippines, Vietnam, Bangladesh, Russia, Egypt, India, and Colombia) that represent about 70% of all analog terrestrial TV households (Murray 2014). Average CRT TV screen sizes vary by region. In this analysis, we assume that the average CRT TV screen size is between 19 and 23 in., as summarized in Table 3. According to a data set for TVs in Japan, 20-/21-inch CRT TVs consume about 60–90 W in on mode (ECCJ 2010). However, these data were not measured by the IEC 62087 standard. Park et al. (2011) estimated the average per-unit on-mode power consumption of 21-inch CRT TVs on the global TV market to be about 60 W. Phadke et al. (2015) estimated per-unit on-mode power consumption of 19-inch CRT TVs in developing countries to be about 60 W. Efficiency of CRT TVs depends on the TV’s vintage (year of manufacture). In this analysis, we assume that CRT TVs consume, on average, 0.33 W/in2 in on mode, based on a range of 0.28 to 0.38 W/in2, which is equivalent to about 60–80 W for 21-inch CRT TVs. As discussed in “Digital TV technologies and related energy consumption trends” section, it is reasonable to assume that on-mode power consumption of energy-efficient LED-LCD TVs is similar across regions. Manufacturers will be able to adopt higher-efficacy LEDs and efficient LCD panels over time, but efficient optical films (e.g., reflective polarizers) and brightness control functions are already commercially available and have been used in selected models. These features reduce LED-LCD TV on-mode power consumption by about 40% (Park et al. 2013, 2014). The data from Table 2 represent energy-efficient TVs. We consider a wider (than shown in the table) range of TV power consumption and assume in this analysis that LED-LCD TVs available globally consume, on average, 0.10 W/in2 in on mode, from a range of 0.06 to 0.14 W/in2, equivalent to 11 to 26 W for 21-inch TVs (Park et al. 2013, 2014). As discussed in “The global digital transition in broadcasting and televisions” section, recent DTCs with primary function only (for standards ATSC and DVB-T) are estimated to consume at least 5 W in on mode and less than 1 W in standby (or sleep) mode. It is technically feasible for DTCs for ISDB-T and DVB-T2 to consume about 5 W using similar system-on-chip. However, DTCs’ power consumption may also depend on region-specific requirements; for example, DVB-T2 specifications for Association of Southeast Asian Nations (ASEAN) countries require DTCs to be equipped with high-definition multimedia interface (HDMI) output and universal serial bus (USB) (ASEAN 2014). In this analysis, we assume that DTCs consume 6.5 W on average (from a range of 5 to 8 W) in on mode and 0.5 W in standby mode. We assume that every analog terrestrial household uses one TV unit. TV usage patterns vary by region, sector of use, and consumer lifestyle. Park et al. (2011) estimated average daily TV usage in various countries, which ranges from 3.5 to 6.5 h. Usage averages in China, India, and Russia are 4, 3.5, and 4 h, respectively. In South Korea and North American and European countries, average daily usage is more than 5 h. In this analysis, we assume that average daily usage in on mode is 4 h for all TVs in the selected countries. We assume that DTCs are used for 4 h in on mode, are automatically switched to standby mode after 3 h of no activity (because consumers do not typically switch DTCs off immediately), and remain in standby mode for 17 h. It is possible that daily TV usage will increase with adoption of DTV because of improved picture quality and lower energy costs. Therefore, for one of our scenarios, we assume 5 h per day in on mode for new digital TVs, which represents a substantial rebound effect. It is possible that a DTC’s automatic power-down feature might not be enabled; in which case, the device would never switch to standby mode. It is also possible that some consumers will manually switch off DTCs at the end of each TV viewing session. Because these variations are subject to considerable uncertainty and it is difficult to quantify them, we do not attempt to account for them in our analysis. Another variable is that households with DTCs might also purchase LED-LCD TVs earlier than expected, so we cannot be certain of the number of years during which our annual estimated savings might apply. Table 4 summarizes our assumptions for TV and DTC power consumption and usage. We estimate the annual energy savings potential for three scenarios. In each scenario, the savings potential is estimated by subtracting the total annual electricity consumption in the efficiency case(s) with LED-LCD TVs from the total annual electricity consumption in the base case with CRTs and DTCs. However, we do not know the vintage of CRT TVs in analog households and therefore cannot be certain of those TVs’ energy efficiency. Thus, it is useful to consider minimum, average, and high savings cases for TV and DTC power consumption and usage. In the minimum savings scenario, we assume a high energy efficiency for CRTs and DTCs and a low energy efficiency for LED-LCD TVs, including a rebound effect of one additional hour of daily viewing. In the average savings scenario, we compare a CRT and DTC of average efficiency with standard LED-LCD TVs. In the maximum savings scenario, we compare an inefficient CRT and DTC with a super-efficient LED-LCD TV, assuming no rebound effect. Table 5 summarizes these scenarios. Based on the discussion and assumptions in the previous sections, this analysis compares future annual TV electricity consumption for three major scenarios. The total annual CRT TV electricity consumption from all analog terrestrial TV households is estimated to be 36.6 terawatt hours [TWh] per year. The added consumption from DTCs after a digital switchover is estimated to be 6.2 TWh, resulting in total annual electricity consumption of 42.8 TWh from CRTs after the digital switchover. The estimated global electricity consumption from LED-LCD TVs installed in formerly analog households is estimated to be 10.4 TWh per year (standard efficiency). Thus, we estimate an average energy savings potential that varies from 32.4 TWh per year Fig. 3. Table 6 shows that the top three countries—China, Indonesia, and Brazil—together account for 54% of total TV electricity savings potential. In China and Indonesia, about 78 and 100% of analog TV households, respectively, are estimated to receive analog terrestrial signals. Nearly 90% of analog TV households in India are analog cable subscribers (Murray 2014), so the savings potential in India is small because analog cable households will be unaffected by the digital switchover. As discussed in “Estimating annual electricity savings potential by scenario ” section, we developed the minimum and maximum savings scenarios because of uncertainties in our inputs and assumptions. The absolute lower-bound savings scenario still shows annual electricity savings of 19.1 TWh per year. The upper-bound estimate is 42.5 TWh per year. Table 7 shows the details of the sensitivity scenarios. Below, we present results of additional sensitivity analyses for selected parameters under the average savings scenario. These analyses account for possible variation in the factors that affect TV electricity consumption. More-efficient LED-LCD TVs, less-efficient existing CRT TVs, and increased viewer usage of TVs are expected to increase savings by 11–22% compared to the average savings scenario Fig. 4. Providing DTCs might seem to be an easy, economical way to respond to the switch to digital TV transmissions without replacing analog CRT TVs. However, CRT TVs consume more than three times as much electricity as recent LED-LCD TVs. Our analysis shows that if TV users are given DTCs to continue using their CRT TVs, electricity consumption will increase by 6.7 TWh per year globally. LED-LCD TVs with on-mode power consumption of less than 0.10 W/in2 (equivalent to about 23 W for a 23-inch TV with 16:9 aspect ratio) are widely available, and the efficiency of LED-LCD TVs can be further improved by adding technologies that are already commercial. Thus, we find enormous electricity savings potential from replacing analog CRT TVs with LED-LCD TVs as part of a switchover to digital technology. The estimated annual 32 TWh savings potential in our average savings scenario is equivalent to about 11 Rosenfelds.1 Even when we consider possible variations and uncertainties in energy consumption, the estimated annual savings potential is in the range of 19 to 43 TWh per year. Although the annual savings potential will decrease as consumers purchase new TVs at some point, this huge savings potential still indicates that total cumulative savings for several years would be much larger if policy action is made in a timely manner, given the long lifetime of TVs. Given rapidly decreasing flat-panel TV prices and TVs’ long lifetime, planning to incorporate energy-efficient TVs as part of digital transitions, rather than relying DTCs that extend the use of inefficient old analog TVs, is likely to be beneficial in reducing energy consumption in the short and long run. The energy savings that we estimate equate to substantial cost savings in each country from avoided power generation. Government procurement or incentive programs can significantly reduce the up-front cost of LED-LCD TVs. Several governments that are considering subsidizing the cost of DTCs or STBs for low-income households that have analog TVs could benefit from analyzing the potential impact on energy and financial savings of replacing analog TVs with energy-efficient models instead. Countries like Mexico that have been subsidizing residential electricity prices could further reduce the cost of supporting the digital switchover. For example, Gopal et al. 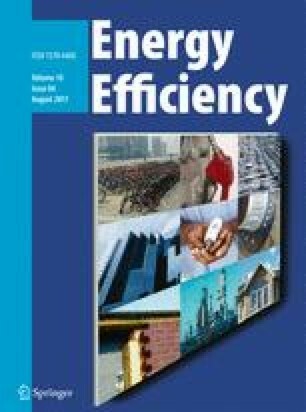 (2014) highlighted that electricity subsidies lower the value of energy efficiency to the consumer and estimated the positive marginal savings for the Mexican government that could result from appliance efficiency, based on Mexico’s tariff structures and the long-run marginal cost of supply. In Mexico, a TV-exchange program associated with the digital transition would not only save 3.5 TWh per year in electricity but would also save the government approximately $2.3 billion in avoided electricity subsidy payments (SEAD 2015). While our analysis does show enormous savings, the 317 million analog (terrestrial) TVs that need to be replaced to realize these savings represent a larger number than current annual global TV shipments. Thus, if countries plan to institute an exchange program such as that described above, they will need to engage with manufacturers to avoid supply-chain bottlenecks. Future research on energy efficiency in DTV transitions should discuss country-specific impacts on energy and cost savings of adoption of energy-efficient TVs, and appropriate policy and program design, given each country’s appliance market and electricity price structure. One Rosenfeld unit is defined to be an average coal plant capacity of 500 MW with a capacity factor of 70% and system-wide transmission and distribution losses of 7% or annual delivered electricity of about 3 TWh per year (Koomey et al. 2010). This work was funded by the Bureau of Oceans and International Environmental and Scientific Affairs, US Department of State and administered by the US Department of Energy in support of the Super-efficient Equipment and Appliance Deployment (SEAD) Initiative through the US Department of Energy under Contract No. DE-AC02-05CH11231. Any errors or omissions are the authors’ own.